- Contain NO fat, colorants or preservatives! 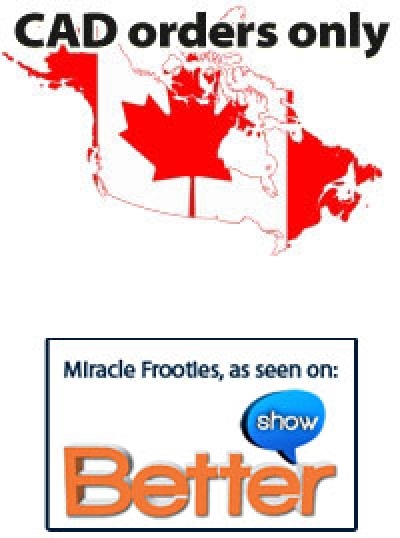 Twice the size as Classic Miracle Frooties - almost the same price! We will ship your order from the US! 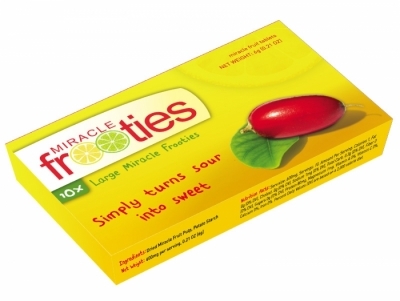 Each double factory sealed pack contains 10 large Frooties ("Miracle Fruit tablets"). They are very easily halved for two. Host a miracle fruit tasting party! 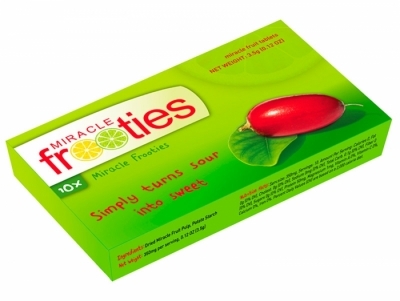 Each double factory sealed pack contains 10 Miracle Frooties ("Miracle Fruit tablets"). That's up to 20 servings.